News from Kokaigawa Fureai Park representing Ibaraki's spring! 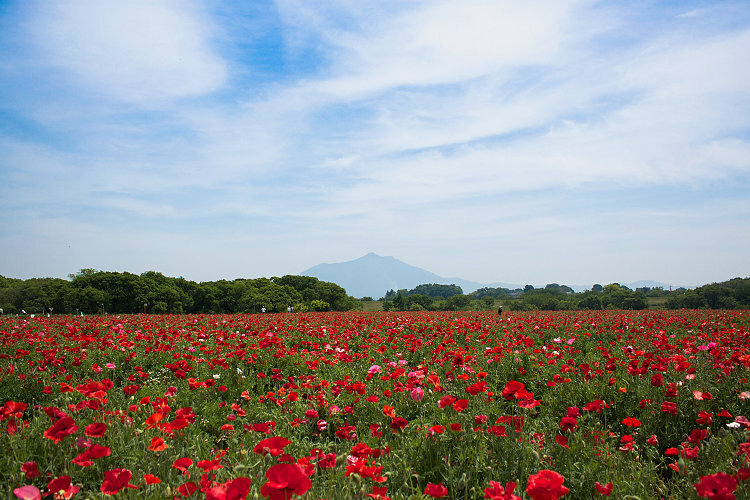 Two million poppies are going to be full bloom next week, and around 5/24, diamond Mt.Tsukuba can be seen! Why don't you visit for your going out or a date in weekend? Every year in May, colorful flower carpets of two million poppies and a million pot marigolds spread in Kokaigawa Fureai Park. 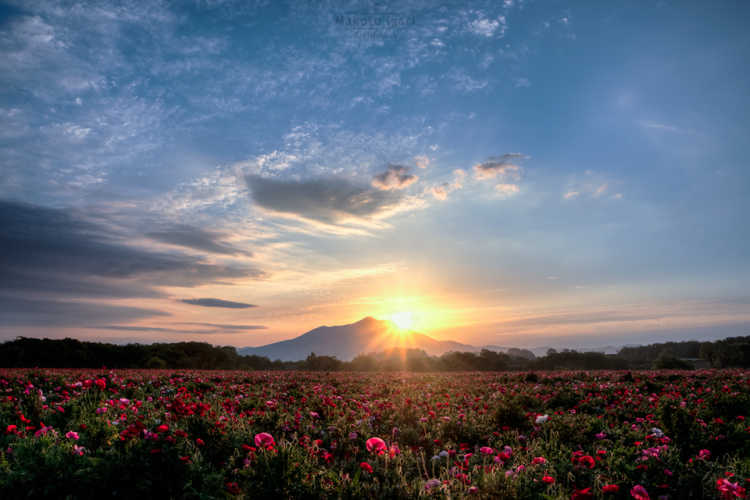 Flower fields in front of the Mt.Tsukuba are popular as spots for taking pictures.